I went to do a Google search today, but could not find what I was looking for. 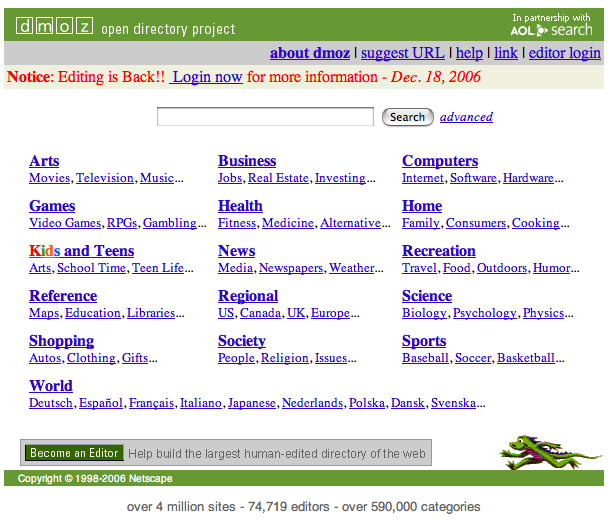 Up until late October my preferred search engine was the Open Directory Project (ODP). Their search and editing servers had a major crash and lost a lot of data, including all pending directory submissions. They are back. What does this have to do with hemp you ask? Well, the Hemp Report has the answer. It is over six years old, but just as relevant today as when it was published. Please read the story by ODP volunteer editor industrialhemp Hemp and the Open Directory Project, learn all about it, and submit your web site. The only thing that I can recommend is to do a hemp search in the ODP to find the best categories to make a submission to. Your hemp related business will be better for it!